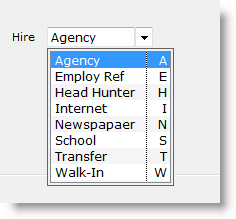 There are several options available depending on the type of edit field. 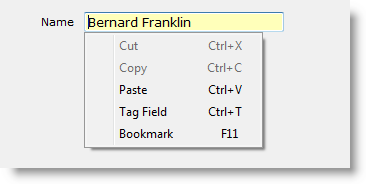 Tag Field: (CTRL-T). When you tag a field, that field will become the first record highlighted for each record. 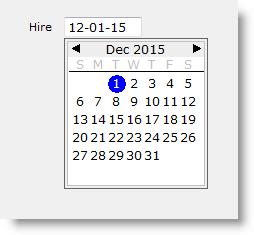 When tag field is on the status bar at the bottom of the window will display TAG in red. (See Field Tag). On a numeric or financial field, you can press the letter C to open a calculator. 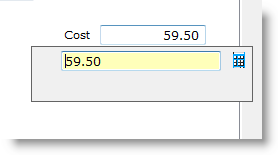 The value currently in the numeric field will display in the calculator. To access the popup, click on the box or press CTRL-W or right-click. 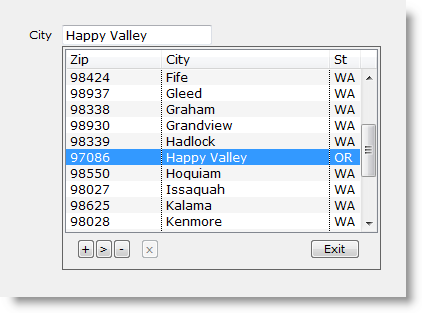 You can also type the value into the edit field. 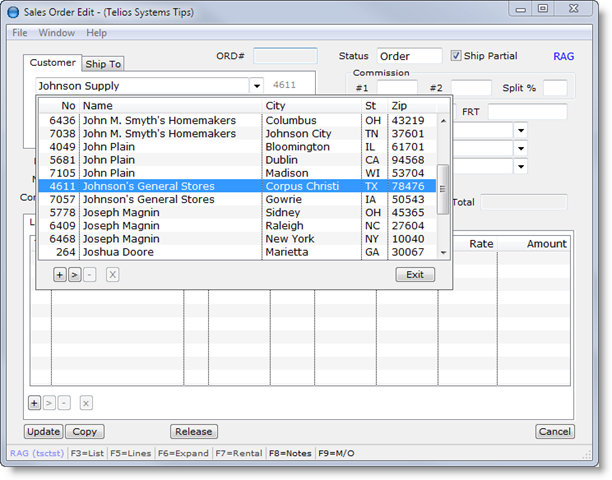 The program will auto-complete from the options in the table. In this case, we are adding a new customer: Johnson Supply. The button captions change to A to complete the Add, and C for Cancel. The triangle acts exactly like the button. When you hover the mouse over the triangle, the cursor will change to a finger pointer and you can click on it (or CTRL-W or right-click). Like the Customer example, this example has buttons for Add, Edit and Delete. When a popup has these buttons, the permissions are set in the user profiles. Some edit fields have text that covers more than one line. The Notes field is one example. In this example there are two note fields, one that is used to print on a document, the other for internal or private use. These fields are virtually endless and can contain many paragraphs. 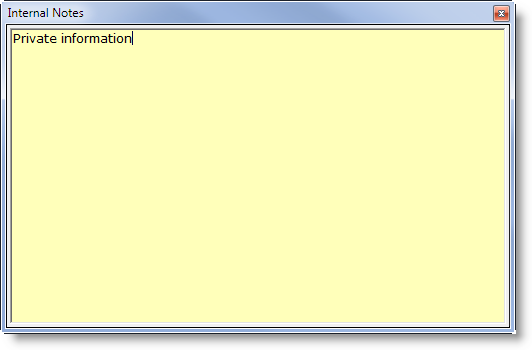 To exit a multiple line field, enter one or two blank lines at the end of your note with the ENTER key. The program will go to the next field. Blank lines at the end of the note will be stripped from the note. When the field comes into focus (turns yellow), if you don’t type anything and the cursor is at the first part of the field, ENTER will go to the next field. So, if you need to enter a blank line at the very beginning of a multiple line field to push the existing text down, you have to type something first, then press the ENTER key. The dashes will park at the top or the bottom. Press ESC or CTRL-W to close the big window. You text will be display in the regular edit field.